Australian entrepreneur Craig Wright is bitcoin creator Satoshi Nakamoto, he claimed on his personal blog and in media interviews on Monday. Within hours, skeptics were pointing to flaws in his claims. Wright was first outed as the developer of the cryptocurrency by Wired magazine in December, but would not confirm the magazine's claims at the time. Days later the magazine said fresh evidence pointed to another possibility it had raised: that Wright may be a sophisticated hoaxer. But Wright really is Satoshi, he has claimed in interviews with the BBC, The Economist and GQ -- but not Wired. The BBC backed his claim enthusiastically, headlining it "Craig Wright revealed as Bitcoin creator Satoshi Nakamoto." 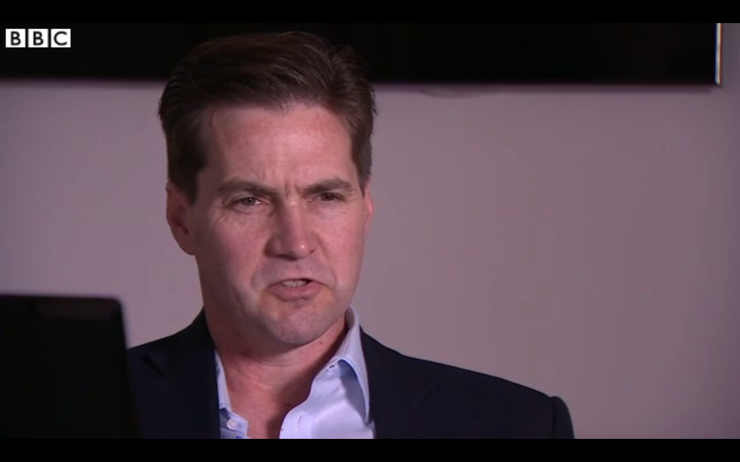 The Economist was more measured: "Craig Steven Wright claims to be Satoshi Nakamoto. Is he?" Many readers are even more skeptical, but that's something Wright is resigned to. "Some people will believe, some people won't, and to tell the truth, I don't really care," Wright said in a video interview with the BBC. Satoshi's identity has been shrouded in mystery in the years since he withdrew from bitcoin development. His reappearance now could influence the future direction of bitcoin, including a key debate about the size of blocks in the blockchain. Wright posted instructions on his personal blog on Monday on how to verify the validity of a digital signature -- and implied that a gobbledygook-looking string of text -- "IFdyaWdodCwgaXQgaXMgbm90IHRoZSBzYW1lIGFzIGlmIEkgc2lnbiBDcmFpZyBXcmlnaHQsIFNhdG9zaGkuCgo=" -- was a digitally signed message with a signature matching the private encryption key used to sign the ninth block of the bitcoin blockchain, thus proving that he is the technology's inventor. However, a number of people are already disputing whether Wright's blog post proves anything at all. The mysterious string of text is not a digital signature at all, they say, but merely a Base-64 encoding of the end of an earlier paragraph in the blog post: "Wright, it is not the same as if I sign Craig Wright, Satoshi." Furthermore, say others, the encryption key linked to Satoshi that Wright uses is already publicly known as it is contained in the ninth block. Anyone with some knowledge of cryptography could have performed the same demonstration, they say. In his video interview with the BBC, Wright himself betrays this: "I am about to demonstrate the signing of a message with the public key that is associated with the first transaction ever done on bitcoin," he says. But in fact, it is the private key of a public-private key pair that is used to sign a message. Any signature associated with the ninth block of the bitcoin blockchain is significant because it contained a transaction transferring bitcoins from Satoshi to the late Hal Finney, a cryptographer and early bitcoin enthusiast. While the private key to the ninth block is extremely likely to have been controlled by Satoshi, Wright's production of a message signed with that key would not in itself be conclusive proof that he and Satoshi are one and the same: Someone else could have used the private key at some time in the past to sign the message Wright claims to have signed. Wright's refusal to sign a message chosen by someone else to demonstrate his possession of the key may be a sign that he cannot, as The Economist suggested. The ninth block in the blockchain is important for its link to Finney, but the real Satoshi would also have possessed the private keys used to sign still earlier blocks in the bitcoin blockchain, including the all-important first. Wright appeared to sign a message with the private key to the first block in a demonstration for The Economist but, the magazine warned, "Such demonstrations can be stage-managed; and information that allows us to go through the verification process independently was provided too late for us to do so fully." Nevertheless, the magazine said, Wright "seems to be in possession of the keys, at least for block 9." Wright's claims and demonstration were enough to convince two stalwarts of the bitcoin community, Jon Matonis and Gavin Andresen, who communicated electronically with Satoshi in the early days of bitcoin without ever knowing his true identity. Matonis, the founding director of the Bitcoin Foundation, corresponded with Satoshi in early 2010. He first ran into Wright at a conference on June 4, 2015, and that night told his wife he had "this weird feeling of having just met Satoshi," he wrote Monday morning in a blog post entitled, "How I met Satoshi." At proof sessions in London last month, Matonis wrote, Wright signed and verified a message in his presence using the private keys from newly generated coins in the first and ninth bitcoin blocks. "According to me, the proof is conclusive and I have no doubt that Craig Steven Wright is the person behind the Bitcoin technology, Nakamoto consensus, and the Satoshi Nakamoto name," Matonis wrote. As for Andresen, who took over from Satoshi as lead developer of the bitcoin software, Wright's demonstrations were equally convincing: "I believe Craig Steven Wright is the person who invented Bitcoin," he wrote on his blog on Monday. Andresen attended the same meetings in London as Matonis and the reporters from The Economist, the BBC and GQ. "An initial email conversation convinced me that there was a very good chance he was the same person I’d communicated with in 2010 and early 2011. After spending time with him I am convinced beyond a reasonable doubt: Craig Wright is Satoshi," Andresen wrote. So what made Wright decide to make his claim now? "I didn't decide," he told the BBC in a video interview. "I had people decide this matter for me. And they're making life difficult not for me but my friends, my family, my staff. I have staff here in London, I have staff overseas, and they want to be private, they don't want all of this to affect them. I don't want any of them to be impacted by this." Other news organizations hoping Wright will repeat his claims and his message-signing demonstration on camera are out of luck. "I'm going to come in front of the camera once, and I will never be on a camera, ever again, for any TV station or any media, ever," he said.